Professionalising the practice of directorship could help state-owned enterprises overcome governance crisis. South Africa’s state-owned enterprises have a key role to play not only in delivering services to citizens, but also in funding the National Development Plan. However, it is clear that many major parastatals are still not in a position to fulfil this mandate. A recent editorial in Business Day places the blame squarely on a lack of governance. 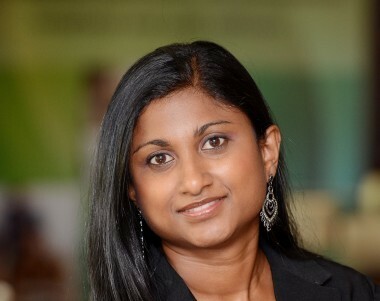 Parmi Natesan, Executive: Centre for Corporate Governance at the Institute of Directors in Southern Africa (IoDSA) broadly agrees, arguing that solving this problem begins with the board. “The challenges besetting our parastatals are complex, so it would be naïve to suggest that there is a silver bullet that can magically fix them. But, as many commentators have pointed out, one common shortcoming is the effectiveness of the boards. One of the findings of the IoDSA’s board appraisals benchmark study was that public sector boards lag behind private sector boards in their performance. 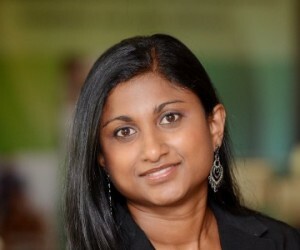 Given that boards play such an important strategic and governance role, the IoDSA believes that the parastatals should seriously consider a professionalisation mandate including Chartered Director(SA)’s for the boards of state-owned entities,” she says. Natesan says that greater attention needs to be paid to the selection of board members at parastatals to ensure that they have the necessary professional and personal skills, as well as industry knowledge and experience. As the IoDSA’s annual board appraisal benchmarking study consistently shows, public-sector boards suffer from the fact that board members (as well as members of the executive team) are often seen to be appointed or political reasons. According to Angela Oosthuizen, Chief Executive Officer at the IoDSA, the directorship role in both the public and private sectors is so important and so complex now that the IoDSA has launched a formal professional designation, the Chartered Director(SA), or CD(SA). The IoDSA’s intent is to professionalise directorship. The CD(SA) initiative recognises that directors require specialist skills, experience and integrity alongside their purely business skills. Administered by the IoDSA, the CD(SA) designation gives directors a way to demonstrate their qualifications objectively, and to enhance them through a formal continuous professional development programme. Professional directors also subscribe to a code of professional ethics, and can be subject to the designation being revoked under certain circumstances. A credible professional designation also helps selection committees identify candidates with the right skills, objectively assessed. Oosthuizen says that government is aware of the potential for using the CD(SA) designation as a way of identifying the right calibre of directors. For example, at a recent IoDSA event, the Public Protector, Thuli Madonsela, indicated that the Minister of Public Enterprises, Lynne Brown, would support the certification of directors as part of the appointment criteria for parastatal boards.